Customers who profit the most from their ultrasonic equipment are those who invest in training. Morantz offers an on-site, one-day training course which is the most popular option for companies with three or more people to train. Not only is this a cost-effective option, but it’s a great way to get the entire staff involved and excited about the company’s new venture. Heather Morantz conducting an on-site training class. Everyone in your organization from technicians and managers to your office and marketing staff can participate. Training can be customized to be as detailed as you need and it’s a great way to get “buy-in” from the staff, solidify their knowledge and get them focused. There is also a definite benefit when staff is trained on their own equipment, in their own environment, working on their own jobs. They get excited when they see how easy the machines are to use and the great results. Our trainers answer questions immediately which also provides a level of comfort and understanding that they may not get otherwise. 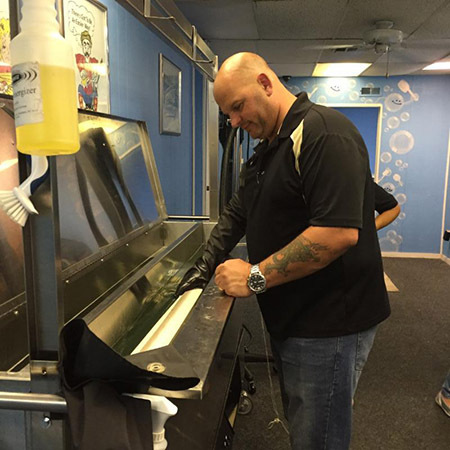 Hands-on training gets the staff involved with learning the proper set-up and use of their own equipment. From Morantz’s perspective, training significantly reduces cleaning issues. The reason is two-fold. First, once the staff completes training, their collective level of competence and knowledge of the equipment is excellent. Second, and maybe more importantly, is that the personal interaction offered by Morantz representatives (often Lisa Morantz or Heather Morantz) provides the staff with a high level of comfort not only when using the machines, but if they need to call Morantz with additional questions. This prevents “tinkering” that could damage items or machine components. Morantz gets the “thumbs up” after training class. By the end of training, the staff is usually very excited about using the equipment on upcoming jobs and Morantz provides the company with a Certificate of Course Completion. Hands on training at Morantz Ultrasonics. 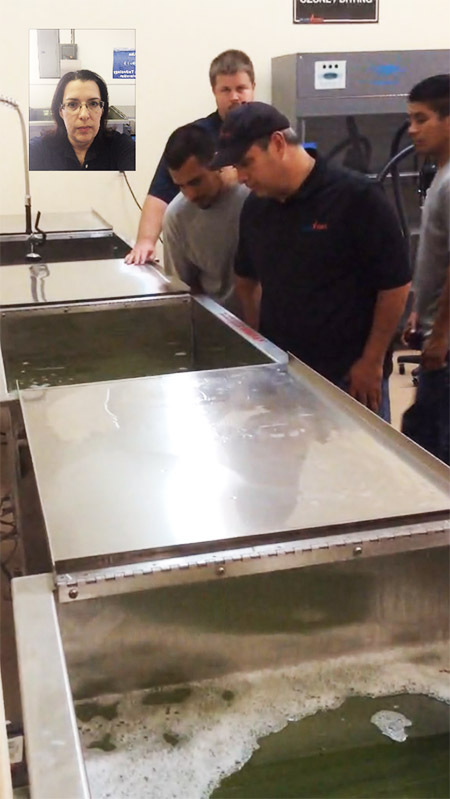 In-house training at Morantz Ultrasonics is another popular option for Morantz customers. It is free of charge, unlimited, and offers an exciting, hands-on experience. For owner/operators, companies with only a few people requiring training or those who are located within driving distance of Morantz’s Philadelphia facility, this is an ideal option. Training is always a one-on-one experience so that customers receive focused attention from trainers. Both owners and their staff appreciate the opportunity to ask questions about their business and get clear and specific answers as opposed to general answers that are often provided in large, classroom-style training. This may include questions about marketing, pricing, best business practices and more. Many Morantz customers often schedule multiple training sessions over time and take advantage of our “unlimited and free” policy. Sometimes this allows them to focus on basics at the beginning and specific applications at a later date. It’s also useful if the staff who originally received training leaves the company and when the company has a new person to train. FaceTime training class with Lisa Morantz. Customers who cannot travel have the option of scheduling a FaceTime/Skype training session with our trainers. In the adjacent pictures, you can see Lisa Morantz in a “floating” Facetime window working with a restoration staff on their new Z-97 Contents Restoration equipment. 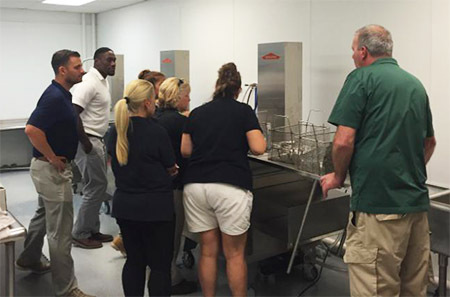 This type of condensed, hands-on training is a good way to get staff started and to make sure the equipment is set up and being used properly. 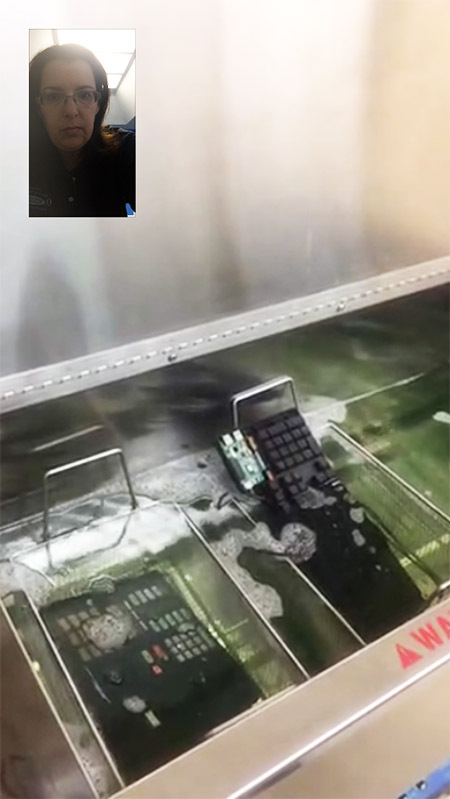 FaceTime training on cleaning electronics. When a full training session is not needed, but when there are specific questions, a 30 minute FaceTime/Skype session may be a great option. The above photo was taken during one such session where a company wanted to review electronics cleaning and work on a few specific items with Morantz’s guidance and direction. Morantz would prefer to take the time to teach technicians and operators how to use the equipment properly rather than to have them struggle. 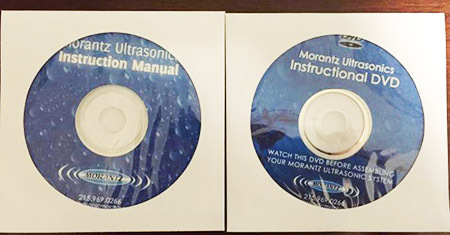 In addition to training, Morantz provides an Instruction Manual and DVD to all customers. These are great sources of information and anyone operating the equipment should use these resources. Finally, related training is also available from other sources such as that from the RIA (Restoration Industry Association). The RIA has it’s own Contents Council comprised of industry experts of which Lisa Morantz is a member. The Council periodically provides training on the business of Contents Restoration. Click on the conference banner above for more information. 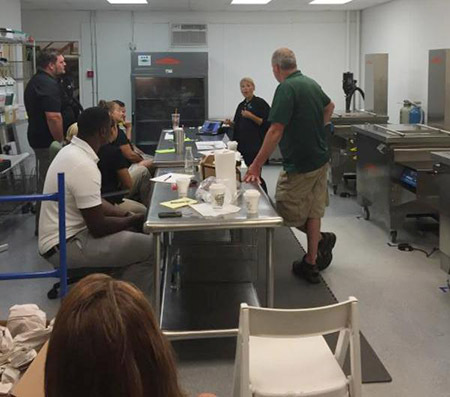 If you have any questions about training or would like to schedule a training session with Morantz, please call us at 215.969.0266 or email info@ultrasonicmachines.com. Click Here to Learn Why This Man is Giving Us the Thumbs Up!